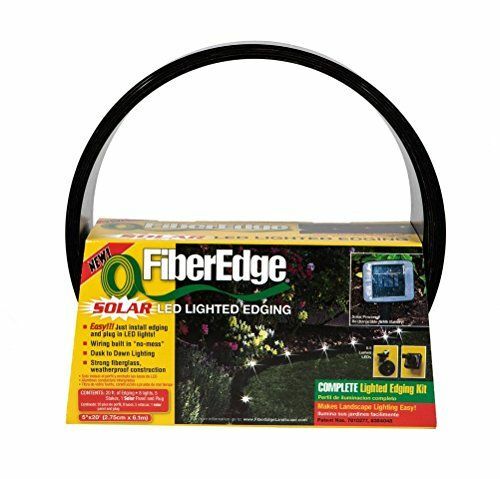 Amazon has the FiberEdge 5" x 20' Solar LED Lighted Fiberglass Edging (35328763320) for $40 with free shipping. Same price at Walmart. Includes lights, stakes and solar panel. Tip: Avoid low or no feedback sellers, search and select "Buy It Now" tab and sort by lowest price. You may modify min price to filter accessories to get FiberEdge 5 auctions.